Organic Veg Club: What Shall We Call The New Lake? 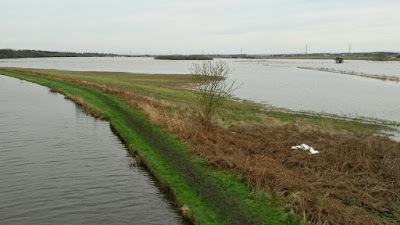 The new one mile long lake that has appeared between Burscough and Rufford should perhaps have a name. Have you any suggestions? This picture was taken from the top of the canal bridge looking towards Rufford and Mawdesley.